Create curiosity gaps with your design. Above the bulletin board Ryan Weaver of KIPP Academy Boston creates a series of visual anchors to preview the units of study for students throughout the year. This is a marvelous example of dual purpose design. It builds curiosity (one of the character strengths key for future success) and it makes long term planning evident. This builds students’ confidence in the teacher and makes the process of learning more transparent to kids who often feel like they are lurching from subject to subject without any clear path. 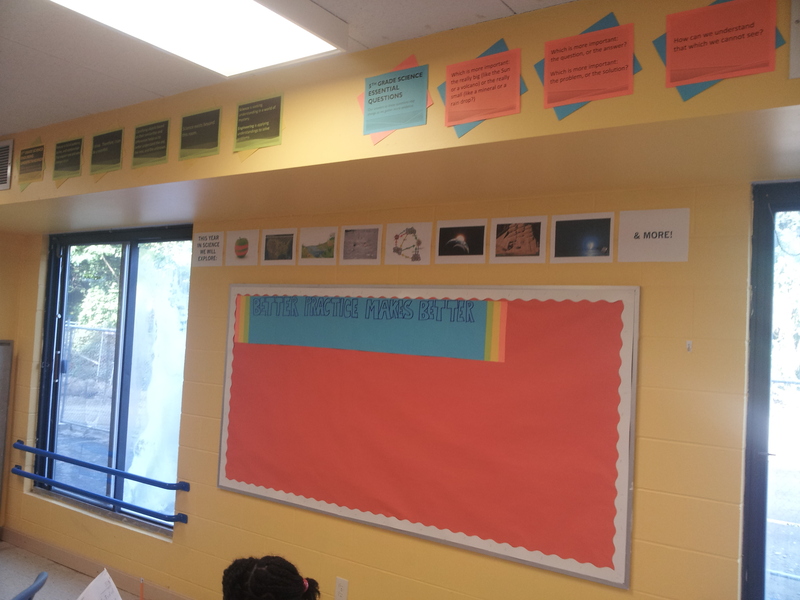 The simple touch on Elizabeth Vetne’s Visual Arts I board is used in many classrooms across KIPP Massachusetts. 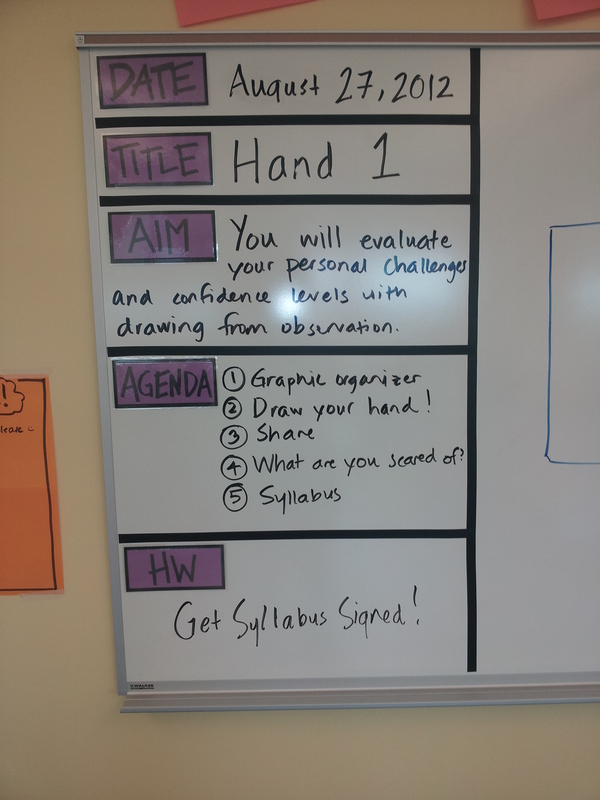 Giving each lesson a title makes the content stickier and also draws reading skills across the content areas. Much more to come about this classroom and the mind-blowing power of great arts teaching. Find dual purposes for your design. 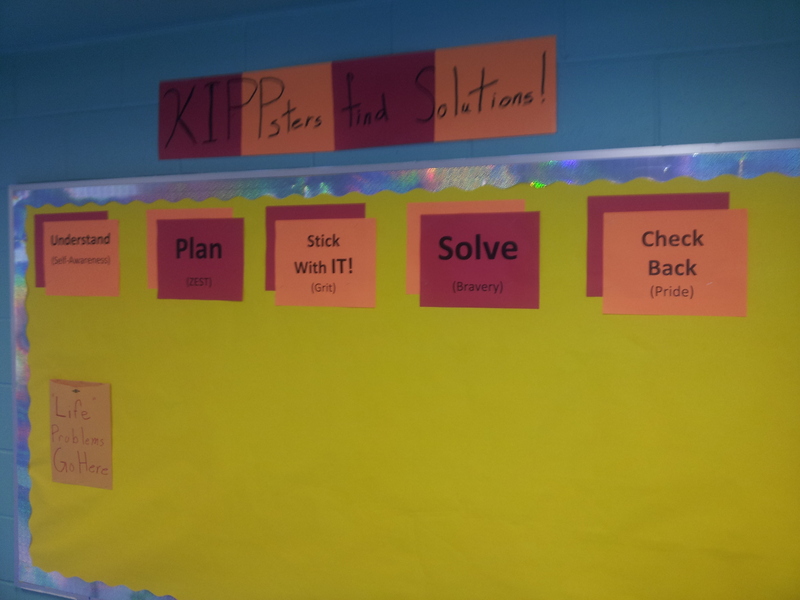 Fernando Acostas’s bulletin board for problem solving is a lovely example of tying math problem solving strategies to the character strengths the school is working on.